Homepolish designer Angela Belt recently featured me as part of a series on 29 Black Tastemakers. Throughout the series, we shared our views on what’s trending in design. Trends inspire and inform the direction in which an industry is heading. As an artreprenuer living and working in Africa, I have seen firsthand how African businesses are successfully reflecting global trends in our region of the world. Here are a few examples of how some companies inspired by or located on the continent are embracing current trends. Nigerian interior designer Osaru Alile launched her online consultation portal in 2015, as a spin-off of her interior design firm CC Interiors. She sees it as a social enterprise, because “everyone deserves to live in a happy space, no matter their income level,” she says. For as little as N20,000 (USD 100), a client can email photos of their space and receive a plan on how to style it and where to shop. In addition, a percentage of proceeds go to charities that help displaced persons like those affected by Boko Haram. In a country like South Africa however, virtual decoration via apps such as WhatsApp, Viber Public Chats or WeChat could prove to be a winning strategy for the future. Global Web Index lists South Africa as the messaging app’s top global user market with nearly 70% of adults using the service. Mrs T needed a revamp for her dining space and she loved the final result! Shades of purple, brown and silver were used all around the space to create a vibrant yet calm ambience.💜 This master plan would guide her in creating that dining space she's always wanted. 😊😊 Love what you see? Visit www.eteriorspaces.com and order a design package and ES would be at your service!! African art is the new rage of 2016. 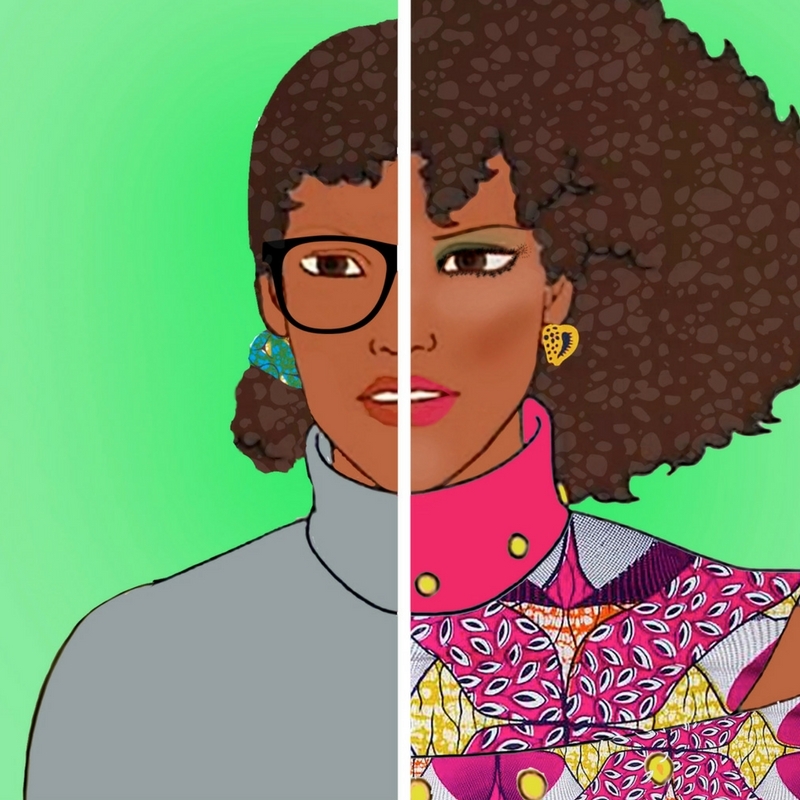 This trend points to a definite shift in the level of appreciation of products designed by people of African descent. Once filed under primitive, eclectic or bohemian, African art is now applicable across of wide spectrum of styles. The success of March’s Armory Show in New York and growing mainstream media coverage (see here, there and everywhere) attest to this. With the continent now influencing global trends, as opposed to being only on the receiving end, the positive outcomes go beyond aesthetics. 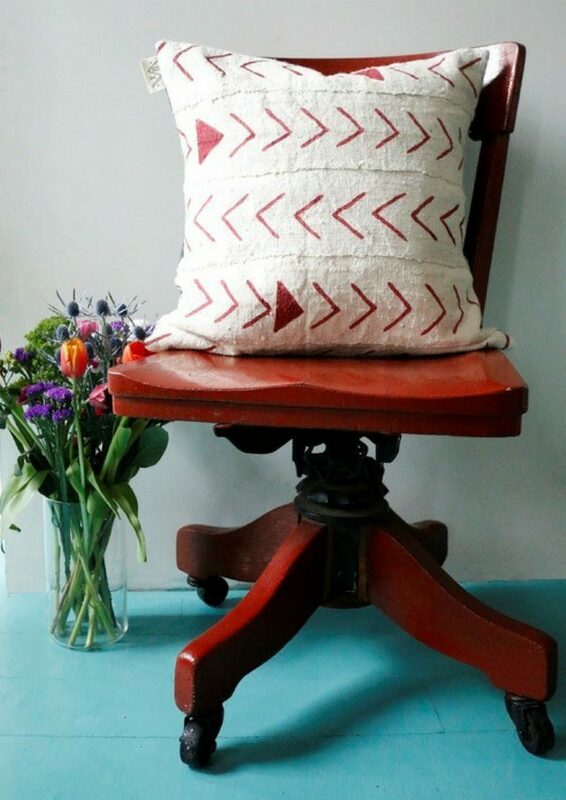 African interior design businesses are capitalizing on the rising appetite for authentic African décor because of the macroeconomic benefits this demand can generate. They are making it their new marketing strategy. 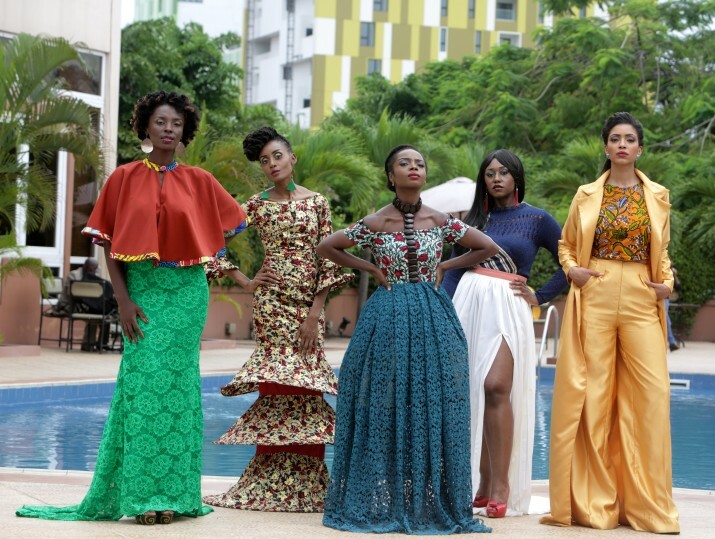 Brands like Dziffa are using export of Ghanaian art as a tool for dialogue around development. In Nigeria, hashtags like #buynaijatogrowthenaira are encouraging locals to appreciate their own design as much as other countries do. On that note, call Interior Culture today!! #madeInNigeria #buynaijatogrowthenaira #interiordecor #decorInspo #designinterior . Check the #byinteriorculture hashtag for some of our work! This year, the trend of muted color tones has overtaken bold hues. The preference in 2016 is for colors that invoke a sense of calm and serenity such as Pantone’s rose quartz, a soft pink. Cooler shades lend better to a wider application in a décor scheme: as pillows, wall colors and even as the couch. Continuity of color within an interior is not as easy with stronger shades. But pale color does not mean boring. Creative Director Jessica Cumberbatch Anderson reminds us that neutrals go beyond cream and beige – there are many more colorful iterations. 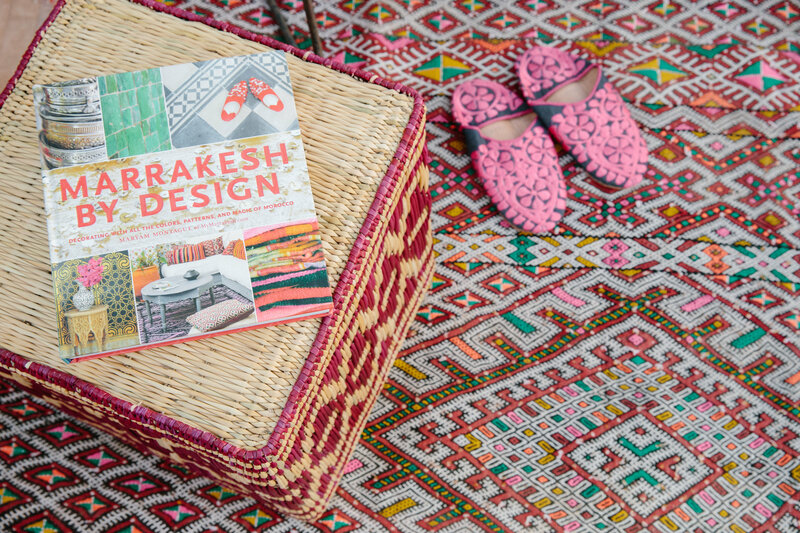 The color spectrum of African design lives on the edge – either deep saturated colors or savannah-inspired neutrals. However, the insistence on softer colors this year inspired designers to look deeper. Jessica adds, “What I love is that we are seeing global patterns being reinvented in these softer, new neutral tones”. 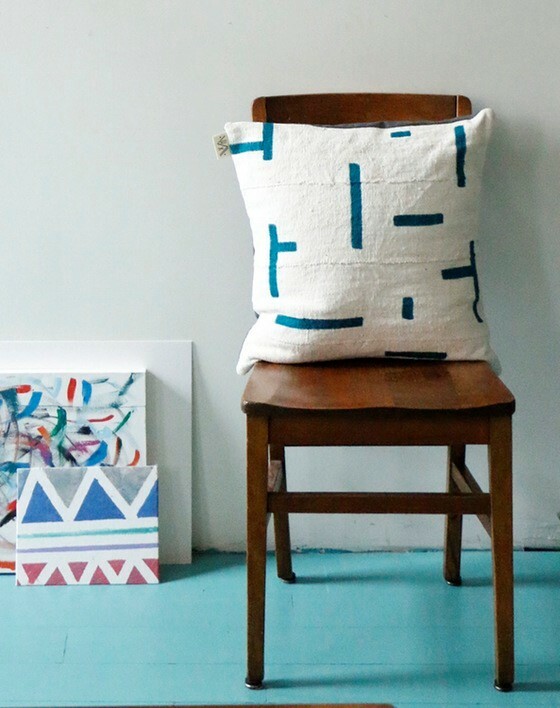 African inspired product designer Xnasozi incorporates muted color into her new cushion line appropriately called ‘deconstructed mudcloth’. Africa also has its share of multi-functional retailers where you can get a rich shopping experience. 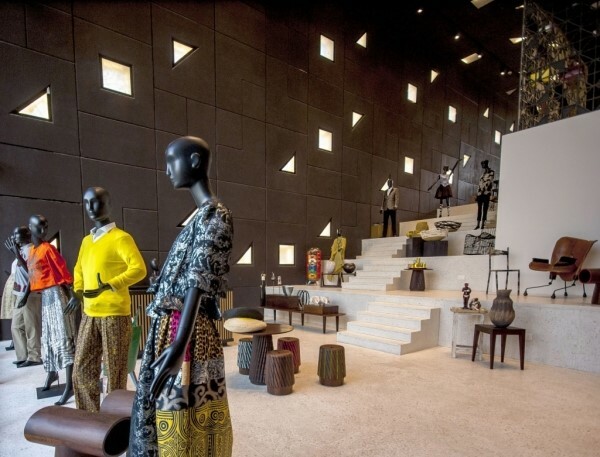 Since opening in 2014, Alara Lagos has been the posterchild for the African concept store. 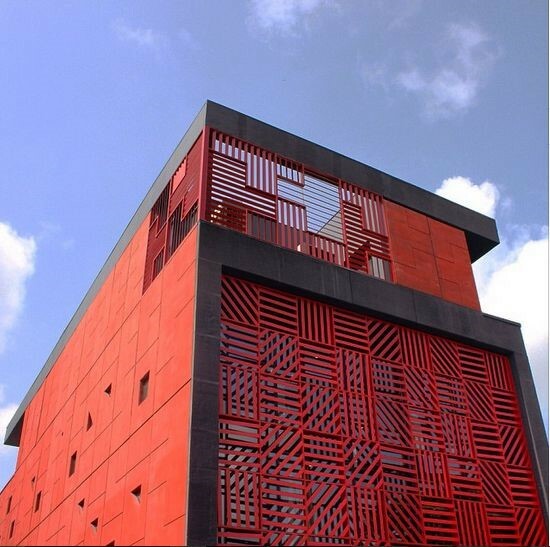 Built by starchitect David Adjaye, Alara Lagos sells luxury goods including Hamed Ouattara consoles and AAKS purses. It also houses a full service restaurant and serves as an event space for art exhibitions. In November 2015, the concept store hosted a showing of Alimi Adewale, an acclaimed local sculptor. In Tunisia, furniture brand Rock the Kasbah converted a depilated house in the touristic hillside village of Sidi Bou Said into a showroom. The final design includes a functioning bathroom, fully equipped kitchen and open-air interior garden. 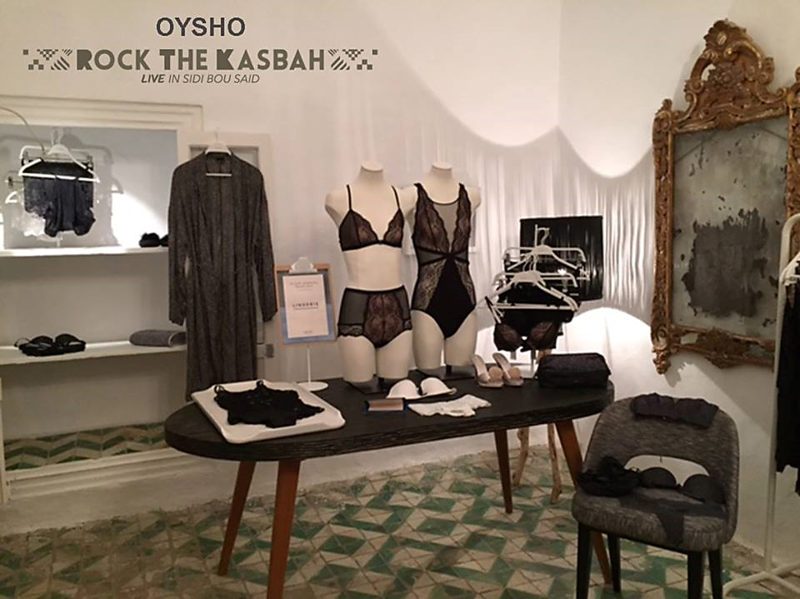 Lingerie brand Oysho called on Rock the Kasbah’s Creative Director Phillipe Xerri to host the press launch of their new collection. Indeed, it served as the perfect intimate setting for a fashion presentation despite being a furniture store. 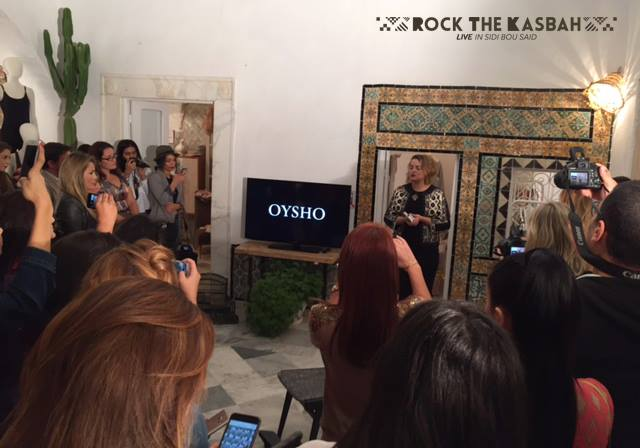 Facebook / Rock the Kasbah, press launch event for Oysho. Ultimately, whether it is e-design, self-appreciation, Pantone’s color of the year, or the latest retail craze, the power of Africa’s design industry lies in its ability to draw inspiration from everywhere in the world and conquer the latest trends with sublime authenticity.